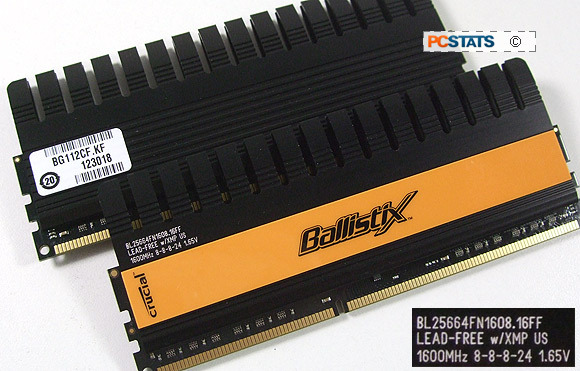 PCSTATS has relied on Crucial memory for its servers for years, so it was only logical to install 4GB's of high end Crucial Ballistix DDR3-1600 8-8-8-24 memory into the Biostar TA990FXE motherboard test system. This is some good quick DDR3 RAM and it features thermal monitoring too! Thanks to AMD, Crucial Memory and OCZ Technology for help outfitting this test platform. Details on how the socket AM3+ Biostar TA990FXE motherboard was configured for benchmarking - including specific hardware, software drivers, operating system and benchmark versions - is listed in the Test System Spec chart below. Please take a moment to look over PCSTATS test system configurations before moving on to the individual benchmark results.